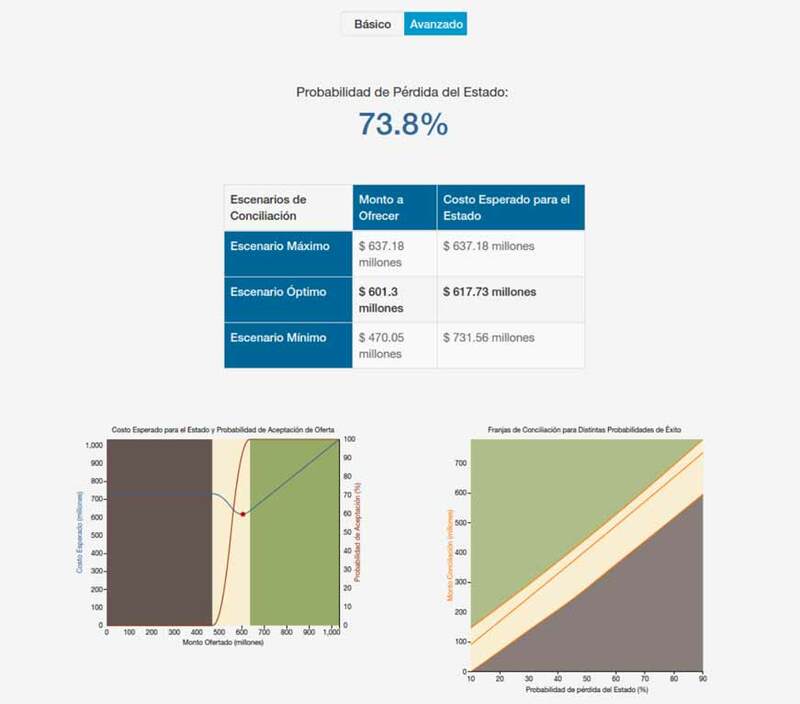 This project, developed jointly with the National Agency for the Legal Defense of the State in Colombia (ANDJE, by its Spanish acronym), consists of the development of a mathematical tool with two main goals: (i) calculate the probability of an adverse ruling in a lawsuit against the State. (ii) to find the optimal value for out of court settlement, given the actual conditions of a case. This tool has a double purpose, because it allows to calculate the State’s contingent liability due to lawsuits while suggesting a settlement amount based on a cost-benefit analysis, which offers an extra asset to the lawyers in their decision-making process. The mathematical implementation of the model for the predictive component is based on modern techniques of machine learning, while the calculation of the settlement amount is based on financial foundations and game theory. The platform for running the model is an application web accessed directly at the IT structure of ANDJE, allowing for the automatic reading of relevant data and the real time analysis of each individual process.